Facebook has a powerful tool that enables people to find you using just your phone number and the search box. 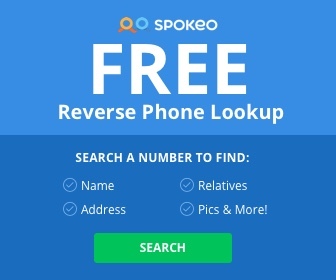 We went in-depth about this method in the “Lookup a Phone Number For Free Using Facebook” method. The search box makes it very easy for people to find out who you are, lookup a picture, and find out who you are friends with – as long as your privacy settings aren’t totally protecting your identity. In this how-to guide, we are going to show you step by step how you can hide your phone number from the Facebook search box so that only your friends are able to still look you up, and not anyone else. Once you’ve clicked on Settings, you’ll be in your account settings section. On the right hand side of that screen so you will see many options. The privacy screen looks like this, there is a option here to change who sees your phone number on Facebook, and you can limit it to Everyone, Friends of Friends, or Only Friends. Once you’ve done this, the only people who will be able to find you from the search bar using your phone number on Facebook are your friends. Keep in mind that if you add more friends in the future, they will be able to search for you via your phone number, even if they were added after you changed this setting. It’s important to be sure that you are comfortable sharing your phone number with the people you are friends with on Facebook, as many scams use social media to lookup information about potential victims before they try and scam you. If you do business on Craigslist, you will find it useful to hide your phone number so that these types of scams don’t occur as often.